Fix "PlayStation Does Not Recognize External Hard Drive"
An Example of "PS Does Not Recognize External Hard Drive"
I just bought a 1TB Toshiba USB 3.0 external hard drive in hopes of being able to add more storage to my PS4 which is out of storage now. I plugged in the hard drive to the PS 4 and it said "the USB storage device cannot be used. The file system is not supported". Please help me out. Under such circumstances, what should users do? Actually, they only need to format partition of external hard drive to FAT32 or exFAT, because both PS and Xbox do not support NTFS. But how to format? Keep reading the post to get detailed steps. As long as users format the external drive to FAT32 or exFAT, it can be recognized by PlayStation and Xbox360. 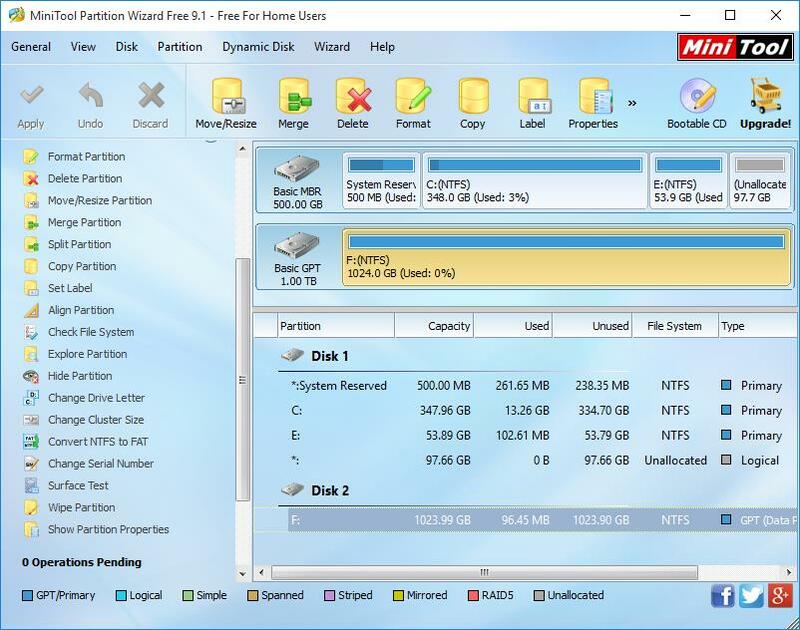 Since Windows Disk Management doesn’t allows users to create an FAT32 partition larger than 32GB, you need to use MiniTool Partition Wizard which supports creating a very large FAT32 partition. You might be interested in this post: 5 Reasons for Converting File System and 4 Ways to Change File System. If no data is saved in the external drive, you can directly format the NTFS partition to FAT32 using the "Format Partition" function, or delete it and recreate an FAT32 partition. But if games or other files have been stored, you need to select the NTFS partition and use the "Convert NTFS to FAT" feature to convert the external drive to FAT32, because this feature can keep your data intact. Note: the maximum file size supported by FAT32 partition is 4GB. If your external hard disk saves or will save single files larger than 4GB, you’d better format it to exFAT or use splitting tool to split those large files to segments smaller than 4GB. Format External Drive to exFAT You can create an exFAT partition or format an existing partition to exFAT in both Windows Disk Management and MiniTool Partition Wizard 10, and the latter will be released soon. Follow MiniTool on FaceBook or Google+ to get latest product information. Backup all important files, delete the NTFS partition, right click the released unallocated space, choose "New Simple Volume", specify volume size, assign drive letter or path, format the volume with exFAT, and apply changes. Backup important data, delete the partition, select the released unallocated space, choose "Create Partition", format it to exFAT, and apply changes. After doing one of these attempts, your external hard drive would be recognized by PlayStation or Xbox.